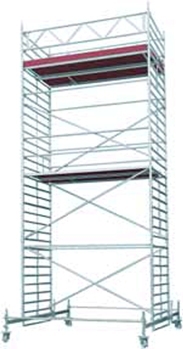 The assco rapido mobile tower system meets all requirements for a state of the art independent scaffolding. Either craftsman, technician, scaffolding company or industrial company all will find an optimized solution for the daily working process. The assco rapido mobile towers may certainly be used in enclosed areas and in the open. They always provide safe access and comfortable working space in the required height. 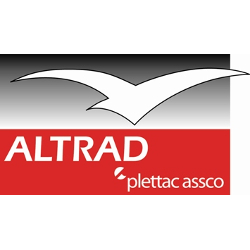 The versatile independent scaffolding for every application.Whether you need to work inside or outside, under ceilings or at walls, inside halls or under spheres, for installation or refurbishment purposes – the aluminium assco rapido mobile tower 4601 with a working platform being 0.75 m wide and 2.85 m long and a max. working height of 9.60 m in the open and 13.60 m inside closed areas will serve all demands for a professional independent tower. Do you have to handle bulky equipment or do you need a wider working space? 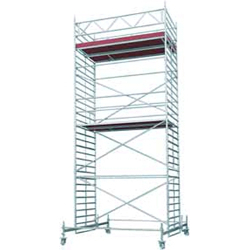 The aluminium assco rapido mobile tower 4602 provides a working area of 1.50 m width and 2.85 m length. the mobile beam for working above 7.50 m only. The heightadjustable castors are easily fit into the tubes of the ladder frames and secured by wing bolts. to the next is easily possible.